A bald eagle watches for fish along the Dolores River recently. Bald eagles and their nests, such as this one northwest of Cortez, are protected under federal law, even on private lands. The Montezuma County Planning Department is considering how to address golden and bald eagles nesting on private land. Although the bald eagle was removed from the Endangered Species Act list in 2007, it is still protected under the federal Bald and Golden Eagle Protection Act, which applies to public and private lands. The issue came to the attention of the planning department from a wildlife watcher concerned about a bald eagle and nest on private land northwest of Cortez. The adjacent property was recently subdivided, and a new home is planned about quarter-mile away from the nest in a cottonwood tree. It is illegal to disturb or harm the eagles or their nest under the Eagle Protection Act, and enforcement is by the U.S. Fish and Wildlife Service. Fines and penalties may be issued if negligent or intentional landowner actions harmed the bird or caused it to abandon the nest. State and federal guidelinesFish and Wildlife has a recommended setback of 330 to 660 feet, depending on historic land use and geography, as a guideline to avoid harming the eagles. But Colorado Parks and Wildlife has more stringent guidelines to protect eagles and other raptors due to the generally more open habitat conditions in the state. 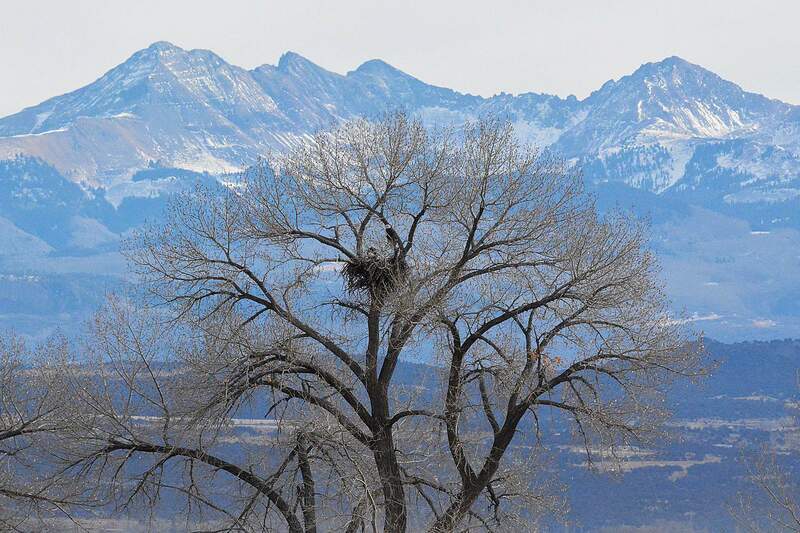 CPW recommends a quarter-mile, no-surface occupancy buffer around the eagle nest not including what has been traditionally been occurring, said Matt Thorpe, area wildlife manager for Parks and Wildlife. To protect active nests during breeding season and chick rearing, the state recommendation is a half-mile buffer of no human encroachment between Oct. 15 and July 31. 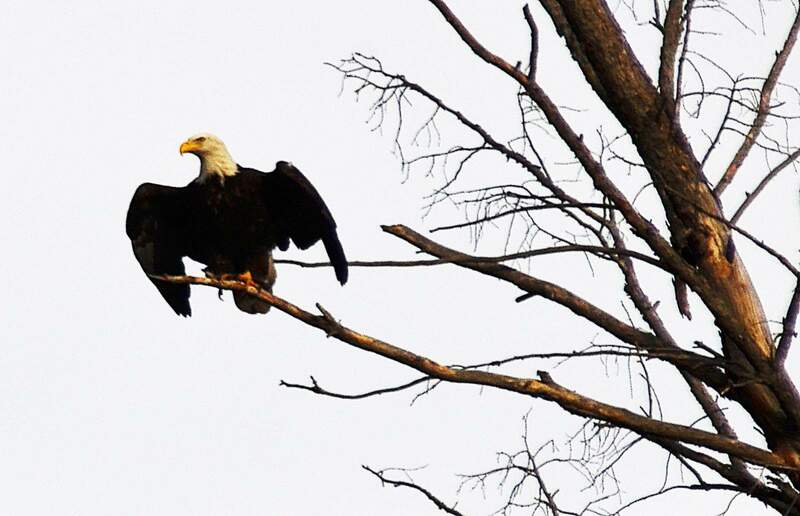 County planner James Dietrich said landowners should be aware that they could be liable if their actions disturb or harm federally protected eagles. The state and federal guidelines, though not mandatory, are intended to help individuals avoid causing illegal harm to the protected eagles. As an insurance measure, Dietrich said landowners could try and negotiate a “take permit” for eagles from Fish and Wildlife that outlines specific land use and mitigation measures designed to protect the bird and nest. If they follow the permit requirements and the eagle is still negatively impacted, the landowner can avoid liability. Take permits cost $500 to $1,000 and may take a two-year process to obtain one, but they are not guaranteed. Dietrich said the issue of eagle nests being potentially impacted by development will be “taken under advisement” going forward. Potentially impacted landowners could be informed of the bird’s protective status. Thorpe said Parks and Wildlife offers advice for protecting eagles on private land and will meet with landowners to determine whether the nest is occupied or has chicks. Eagles in rural neighborhoods tend to be more tolerant of established homes and activities, he said. Keeping your distance from active eagle nests is advised, and disruptive activity should be avoided. Unoccupied nests should also be left alone, because often an eagle will return to it to lay eggs and raise chicks.